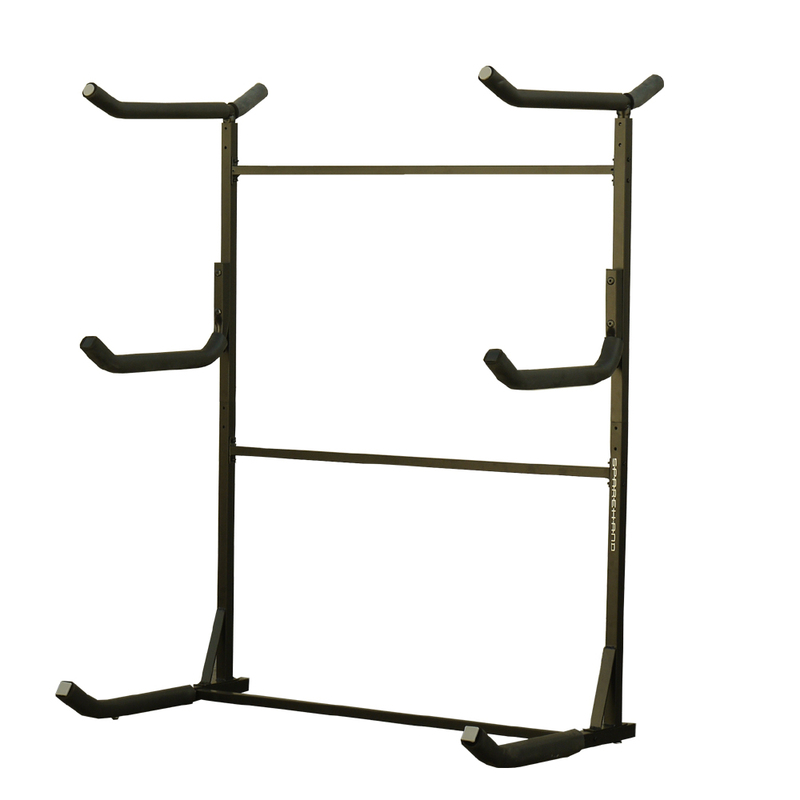 The TF-204-2s is a single sided freestanding storage system for 3 kayaks. It features wide base for placing your big and heavy kayak at the base. 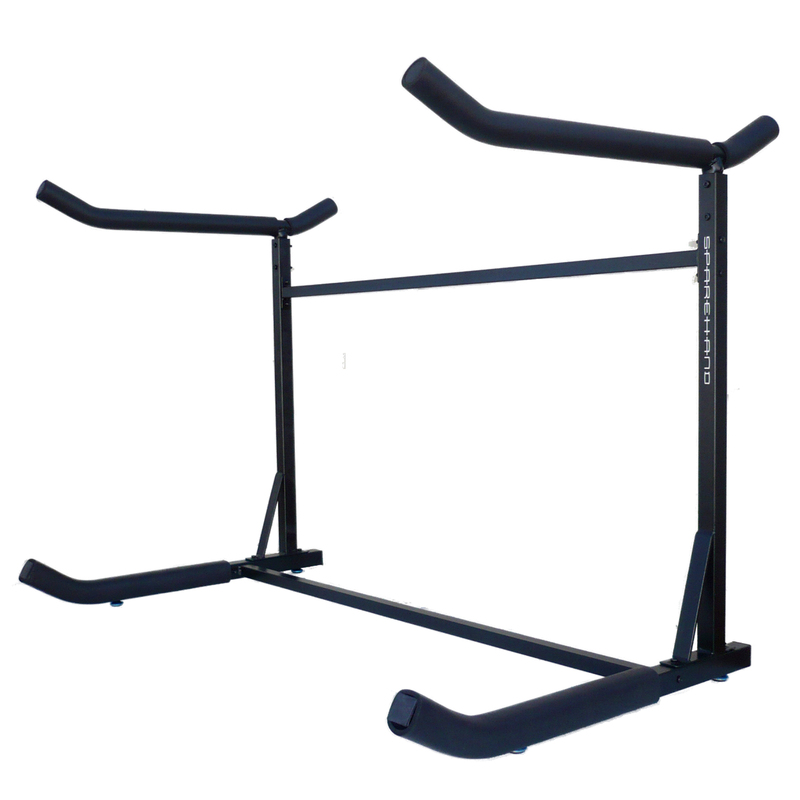 A top cradle for sit in or sit on top kayaks, or SUP up to 32″ wide. 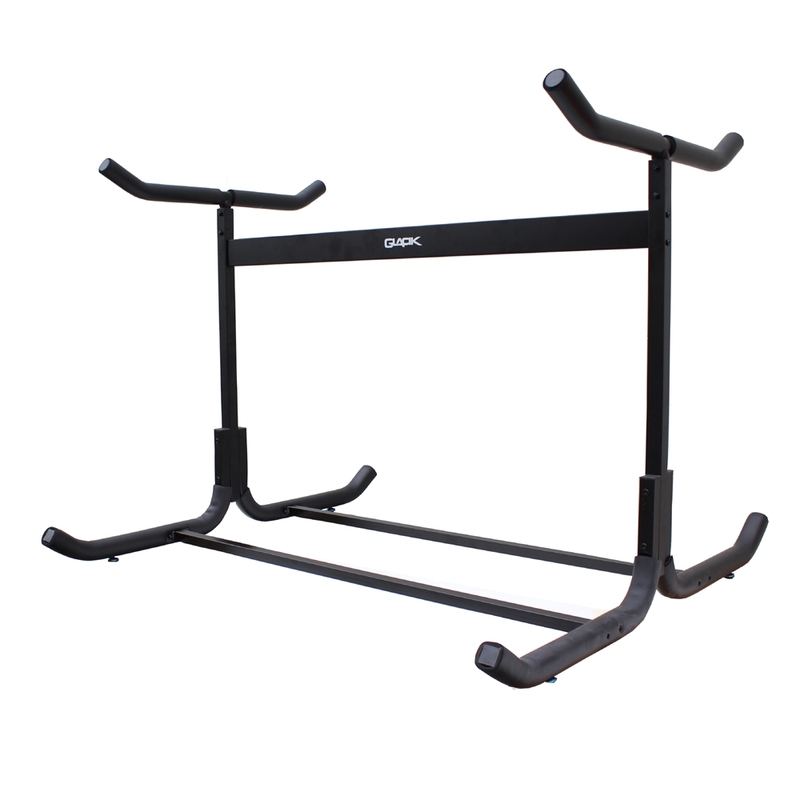 And a center cradle for your smaller kayak up to 28″ wide. Center cradle arm is adjustable for height. Sparehand TF-204-2s is easy to assemble and no tools are required. A tightening key is included to help with tightening if necessary. G-C4 caster wheels (sold separately) can be installed on this system.